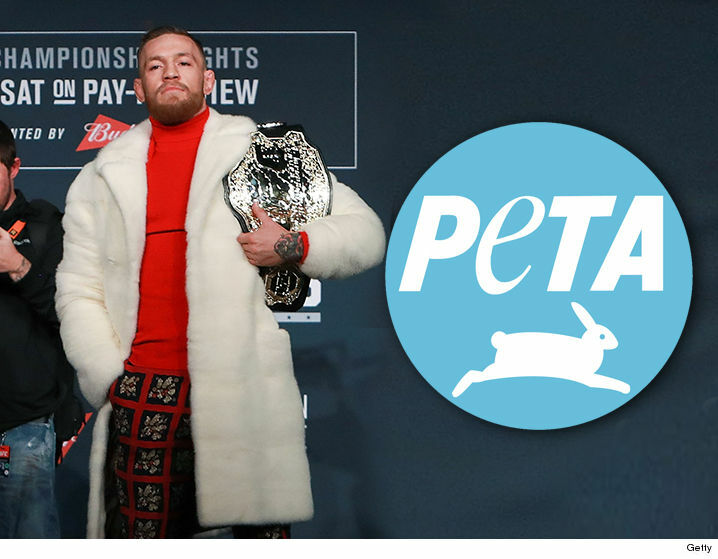 Eddie Alvarez isn’t the only one taking shots at Conor McGregor … ’cause PETA is calling out the MMA superstar over the flashy mink coat he wore during the UFC 205 presser Thursday, TMZ Sports has learned. Aside from McGregor’s usual news conference antics, all eyes were on his outfit … which featured what he claims to be an all white Gucci mink. PETA’s Senior Vice President, Lisa Lange, took notice … and called out the Notorious for his fashion choice. “There are few things more out of touch than draping yourself in the skins of animals who were beaten, electrocuted, and even skinned alive for their fur,” Lange says.